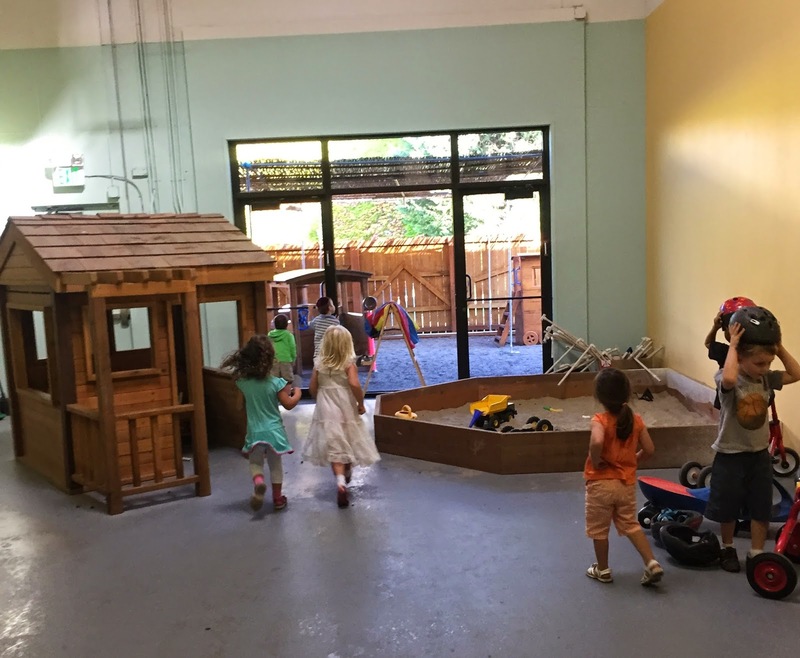 Morah Tzivie: Guess what? We have another holiday coming up. 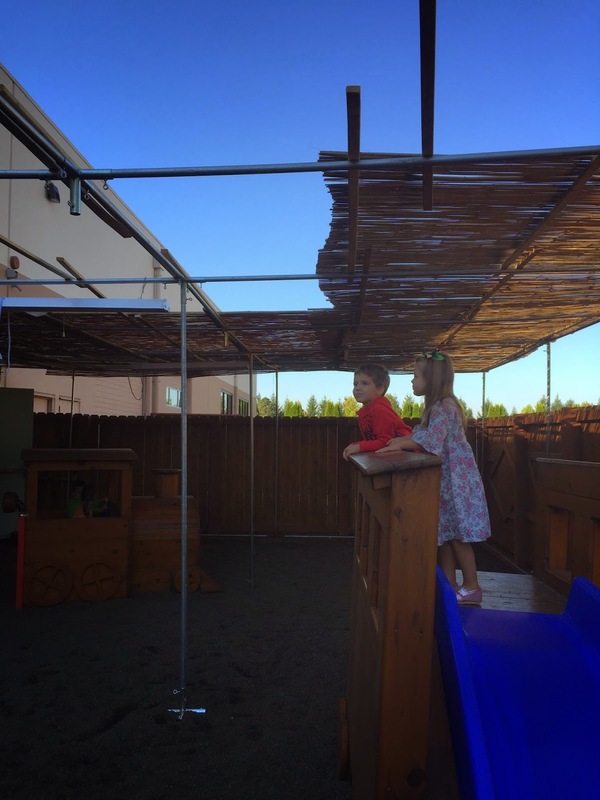 Morah Tzivie: A sukkah is a big apart of this holiday. 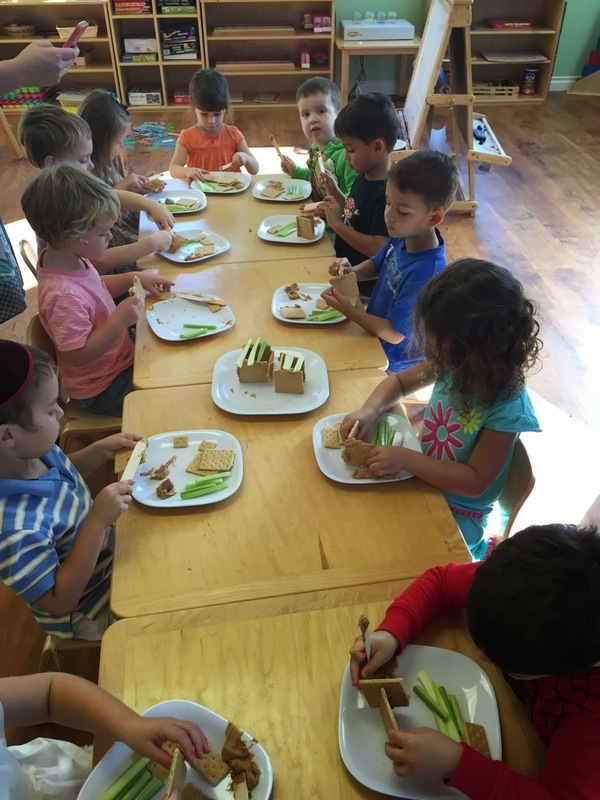 Morah Tzivie: Just like on other holidays, to celebrate we will light candles, eat challah, set the table, make kiddish, BUT we will do it differently. 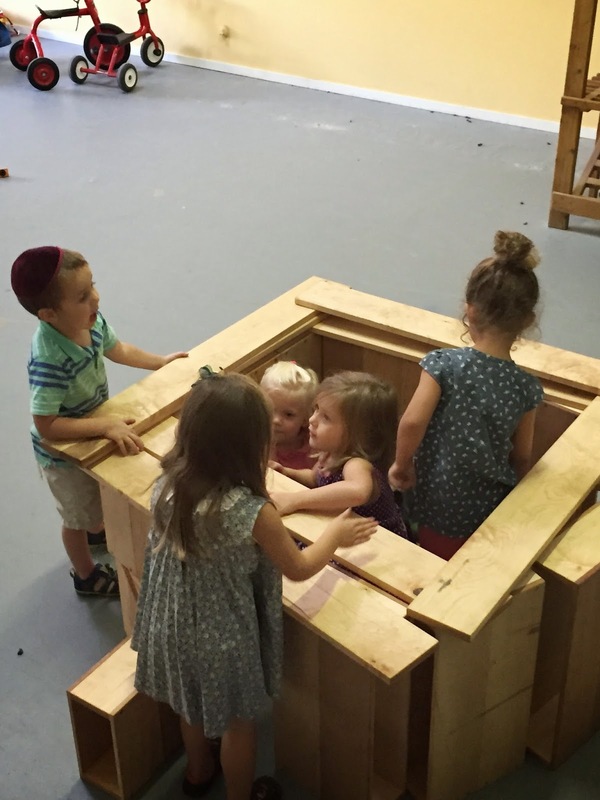 Morah Tzivie: It is a special structure. It has 4 walls, but the floor is the ground! It's ceiling will be schach which is covering in Hebrew. Can you say that? Morah Tzivie: The schach is made from branches. 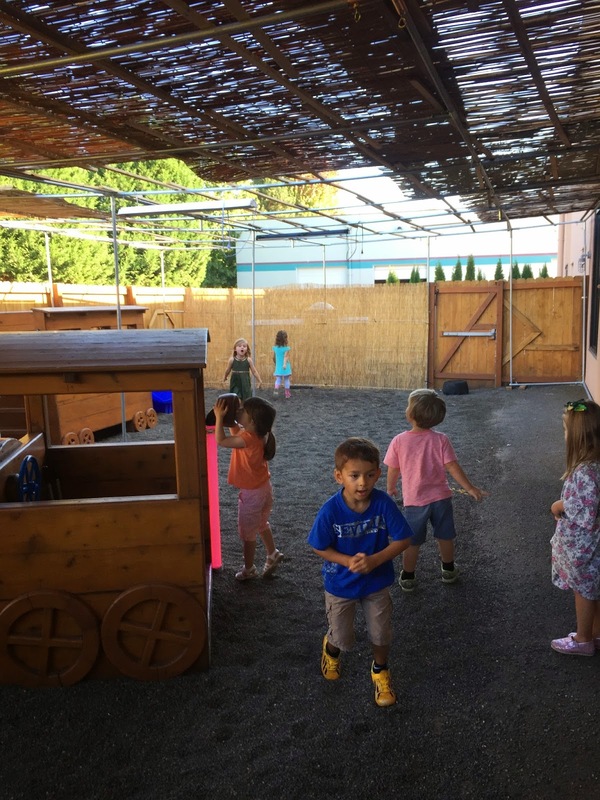 We eat in the sukkah for 8 days! It is so exciting. 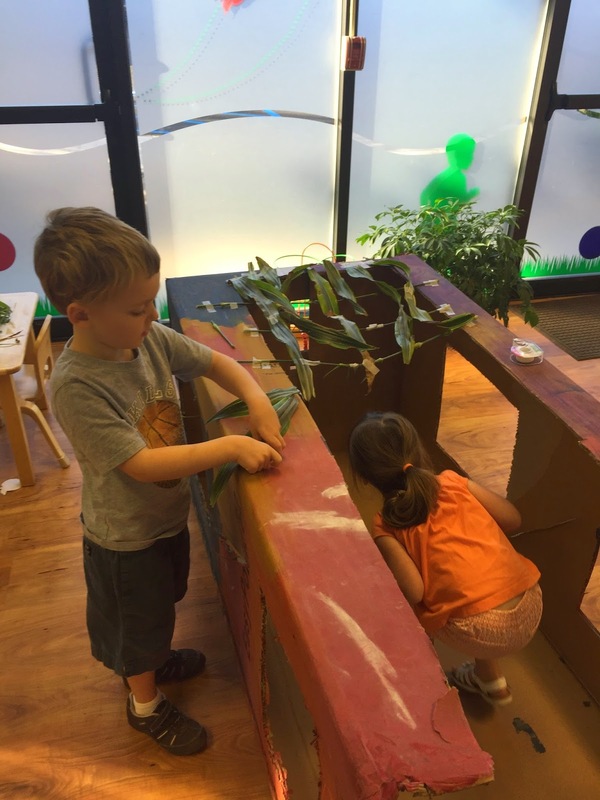 Abigail: We are making a sukkah. Clara: Our food is already inside. Sroli: It needs a door. Morah Katie: Can you see the sky through your schach? Sroli: We can fix that. Amelia: Now we can see. 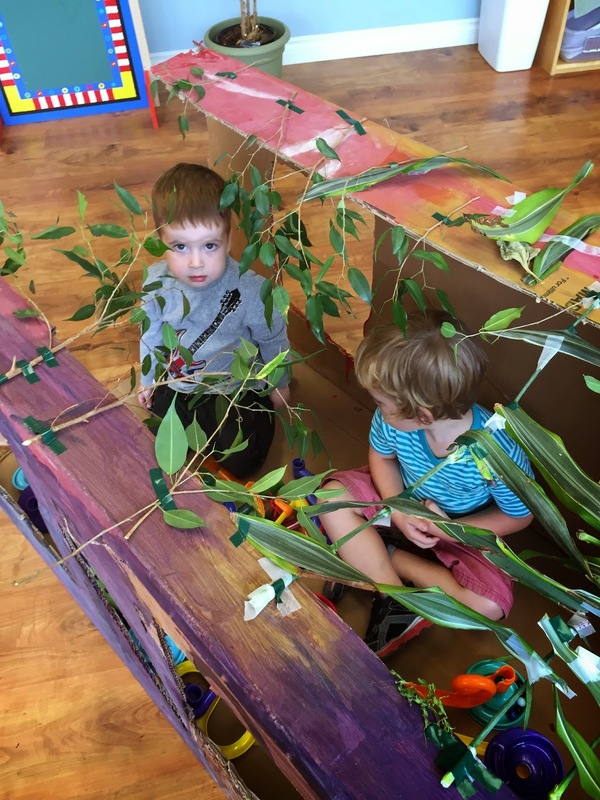 We have created a sukkah in the classroom. 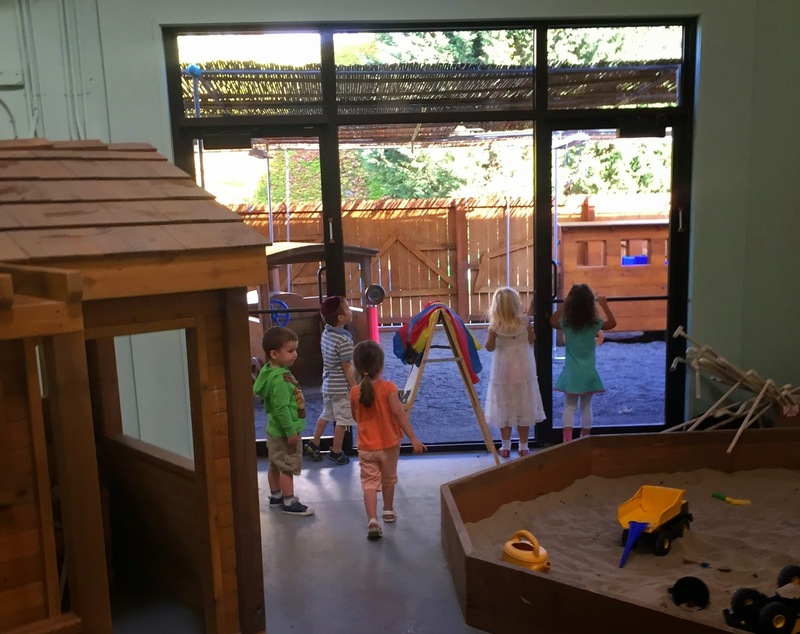 Morah Tzivie: We just gave tzedakah, what part of your body does that mitzvah? Morah Tzivie: Did you know there is a mitzvah your whole entire body does? 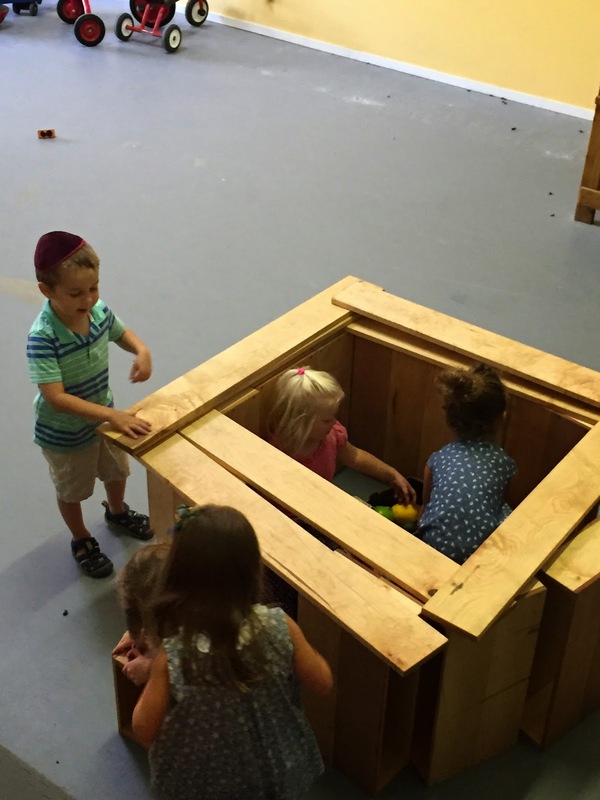 (Children look intrigued) Going into the sukkah is a special mitzvah for the holiday of Sukkot. 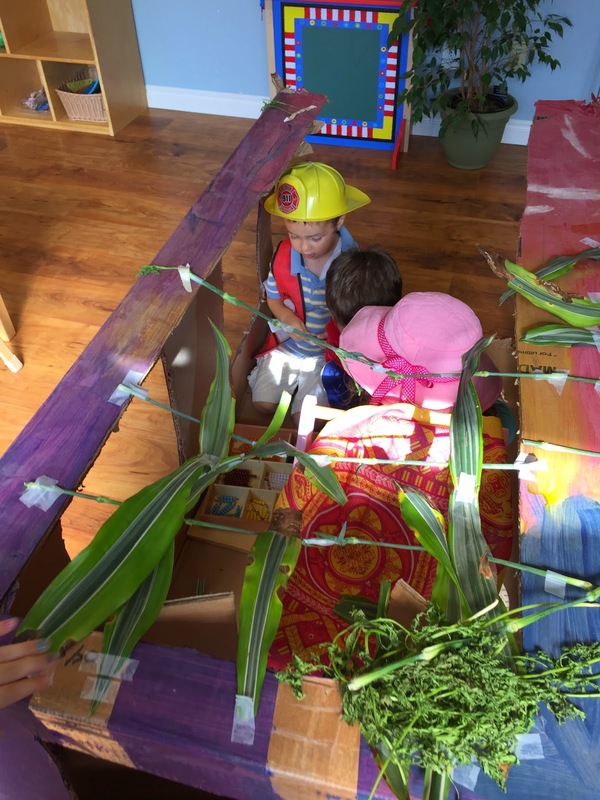 The sukkah you made in the classroom, you have to crawl inside, but in the big sukkah outside, you can walk right into it, nice and tall. 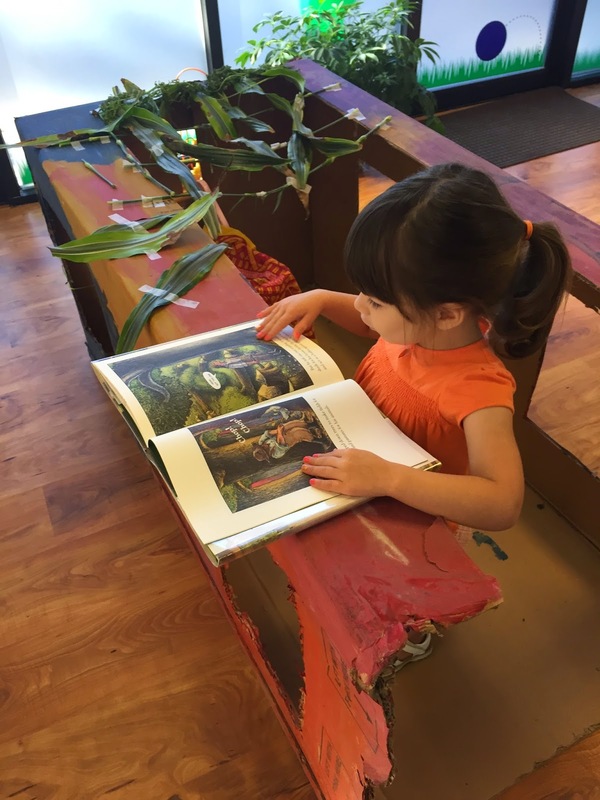 Morah Katie: In our Sukkot book, what are Doni and his dad doing? Amelia: They are getting the schach from the woods. 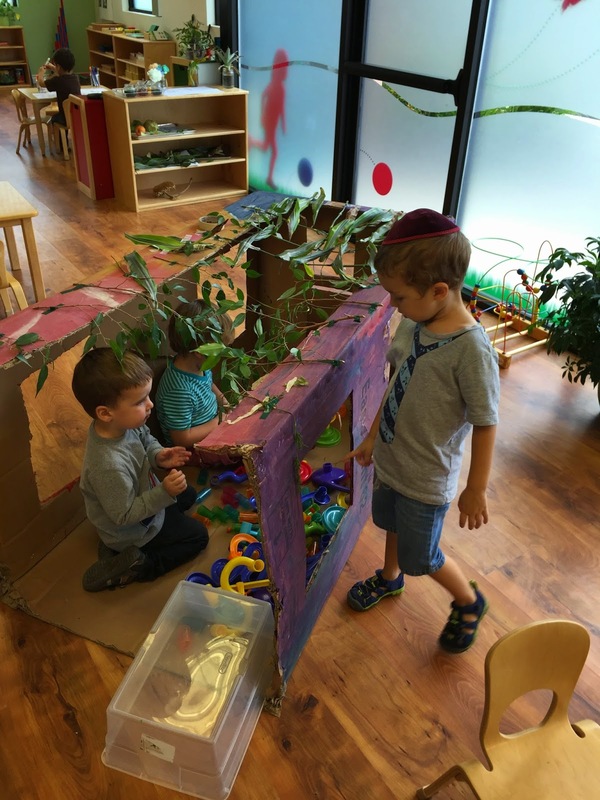 Natan: We are building a sukkah! I helped my dad by carrying a heavy hammer. Sroli: WE ARE TOO! 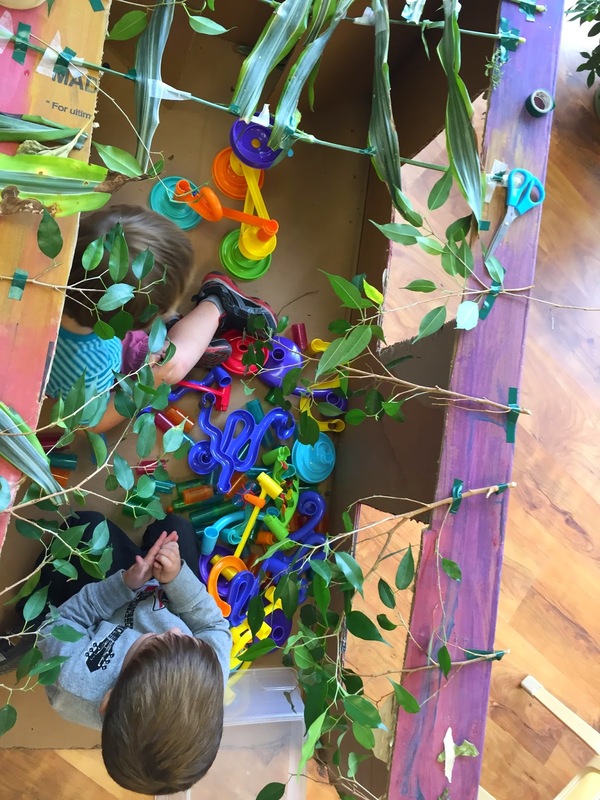 I helped my tati make the sukkah. 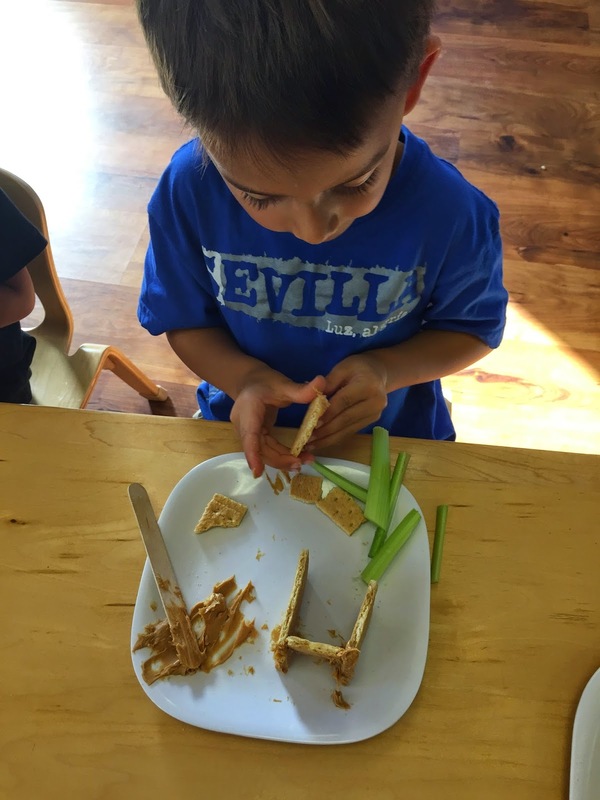 Judah: I was putting pieces near the sukkah. Ari: I'm going to build a sukkah. Morah Katie: We can prune our small ficas plant and use the small branches as schach for our classroom sukkah. Kids: YAY! ITS THE SUKKAH! Abigail: There is a new wall! Natan: We can see the sky! 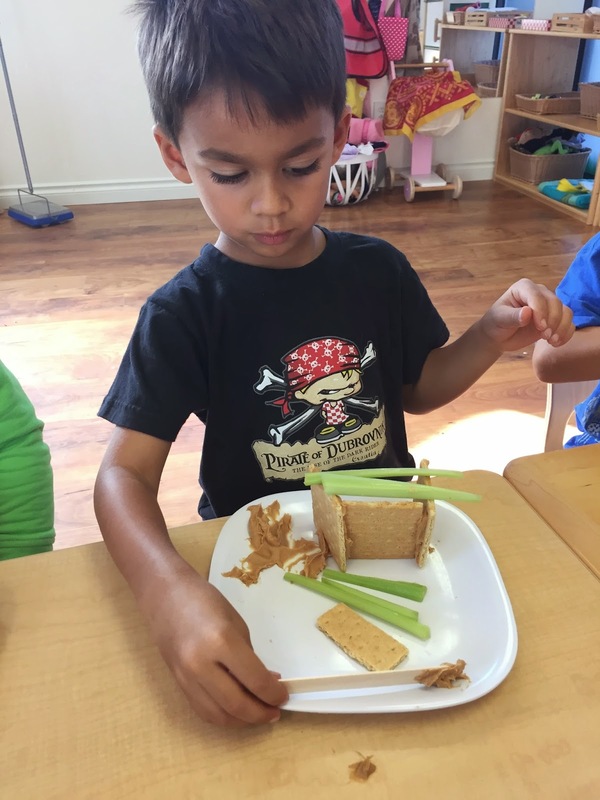 We made edible sukkahs at snack. They were fun to build and tasty to eat! Abigail: My extra celery can be the people inside. with 4 wall and a door. I doesn't have a floor. the earth will be the floor. I'm ready now for sure.